Keswick Hotel Bacton is a traveller’s paradise. It offers travellers a fantastic sea view all the way to the lovely sandy beaches. In addition, the Keswick Bacton Hotel provides a relaxed and warm atmosphere. This is an ideal opportunity for you and your family to explore the captivating North Norfolk coast, the Norfolk broads and its surrounding countryside. It is situated 20 miles from Norwich, 10 miles from Cromer and 20 miles from Great Yarmouth. This hotel is enchanting as it is situated by the beautiful seaside with rooms overlooking the countryside and the spectacular sea. The sandy beaches are only yards away from Keswick Bacton Hotel. Norfolk will offer you a tranquil break away from the hustle and bustle of city life. Keswick Hotel Bacton warmly welcomes its guests to a friendly and enchanting atmosphere of serenity. 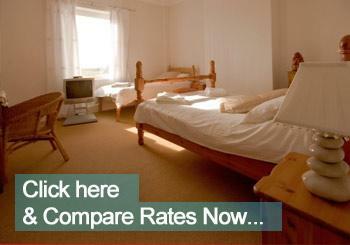 Compare the cheapest rates NOW! Norfolk is a wonderful town to explore while on holiday. There are a variety of things to do for visitors of all ages. For the young and energetic, there are plenty of activities such as golfing. Golfing enthusiasts can benefit from a one day golf course at the local courses in Cromer, West Runton and Mundesley. For those who like walking, you can take a stroll along the coastline and the local national trust stately homes in Felbrigg and Blickling. Cycling is also a favourite pastime of travellers visiting the Keswick Bacton Hotel. The Norfolk is known for its famous bird life and the quiet inland waterways, aswell as its amazing sandy beaches that can be enjoyed at seaside towns like Lowestoft. The Pavilion Theatre is available for those looking for night entertainment. You can witness the famous ‘End of Pier’ show or visit the Theatre Royal in Norwich. There are many shopping outlets and restaurants to go to and try out some of the local food. The Castle Museum is another great way to spend your time exploring this charming town. Keswick Bacton Hotel offers an ala carte menu at the restaurant which serves a variety of home made meals, some contemporary meals and others traditional ones. Emphasis is laid on high quality food made with local produce. The Moore’s bar is open throughout the day and is a comfortable place for guests to relax and unwind. The Keswick Hotel Bacton has 10 en suite rooms and family suites, all of which come with a lovely view of the countryside and coastline. The hotel offers 2 single rooms, 5 twin or double rooms and 3 family suites. Rooms also include a complimentary beverage tray and colour TV. To find the cheapest room rates anywhere online, compare rates NOW!